Bob Gin, President of the Library Foundation dressed as the White Rabbit at the Alice in Wonderland Tea Party celebrated on April 6th in the library. Senior Librarian Cindy Costales welcome the guests to library on March 31st for a special event honoring Laura Scudder during Women’s History Month. Mrs. Costales said eleven women in the community would read pages from “Yours Sincerely”, a book created by her grandson, John Scudder. Club President Jeff Schwartz welcomed club members and their guests to this special event honoring Civic Leaders Theresa Amador and Jerry Velasco on March 28th at the Capital Seafood Restaurant. This event was also a fundraiser for The Democratic Headquarters of the West San Gabriel Valley. 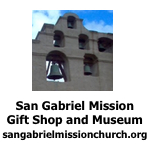 On June22nd come and meet Laura Scudder’s Grandson to learn more about our local history in the San Gabriel Valley.